A few nights ago, I went into the bathroom to pee. I have a pretty small bathroom, and it’s not hard to find your way around, so I went in without turning on the lights. As I sat there peeing, I glanced around and saw a dark blob in the corner by my bathtub that was not a dark blob that was usually there. I sighed, finished peeing, turned on the lights, and there it was. That brown thing that I hate more than anything. I sat back on the toilet and stared at it. We talked for a bit. The conversation went something like this. I grabbed my phone and snapped a few joke pictures to show my boyfriend, because that’s just what I’ve been doing since I realized that my apartment was infested. 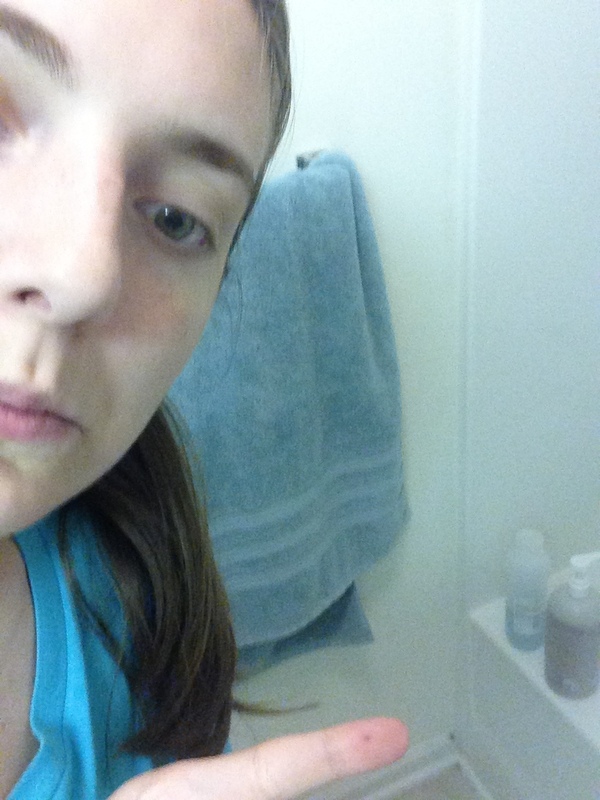 This is the first one I sent… You can’t really tell what I’m pointing at, I realize. 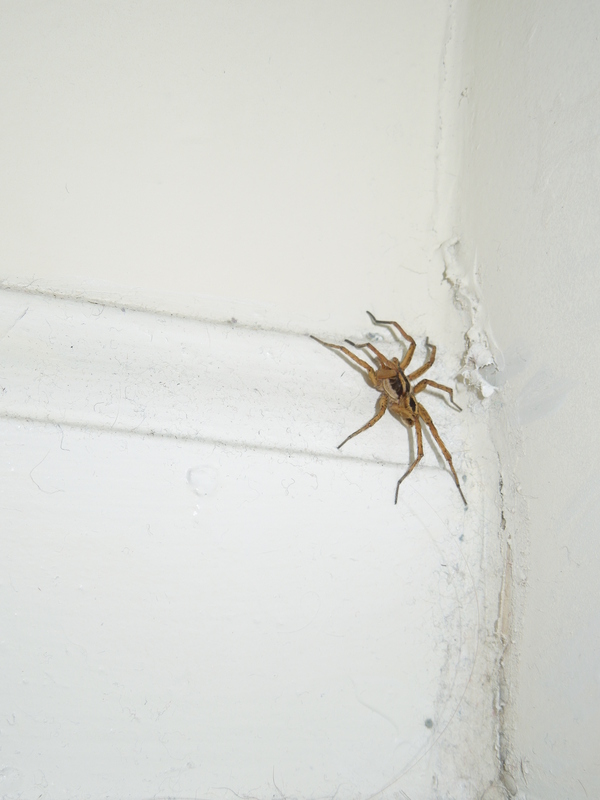 I VERY SLOWLY got closer, and took another picture that you could actually see the spider in. 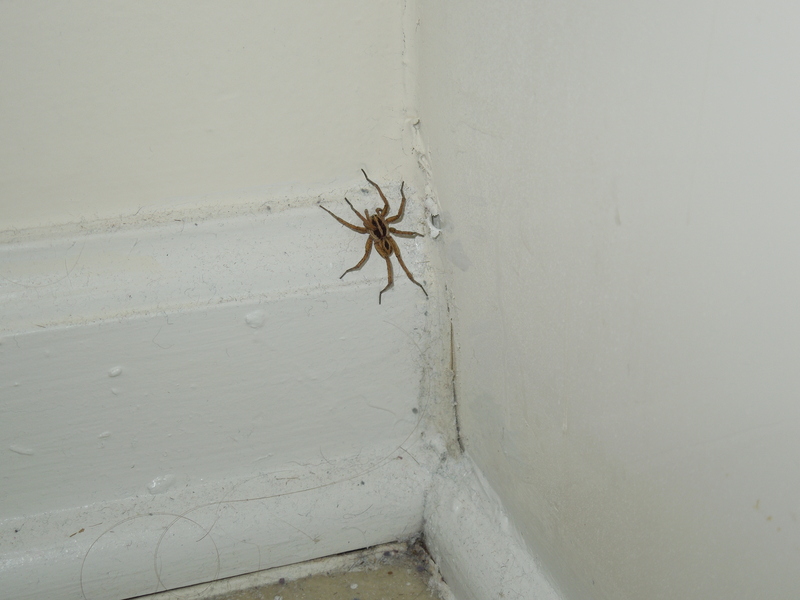 As I left the bathroom I had the brilliant idea of starting a blog about all of my spider moments. I tell everyone about them anyway. So, instead of just coming back with a shoe, I came back with a shoe and a camera (for better pictures). I snapped a few pictures and picked up my sandal. And that was the end of that. He went down the toilet. That’s the safest place for them. I can trust they aren’t faking death. This is a serious issue, and they can’t come crawling back to seek revenge when they’ve been flushed. The trash is another story… As childish as that is, I really think about this stuff. Anyway, enjoy another picture of Renaldo. He didn’t move once during the whole process. I warned him though. 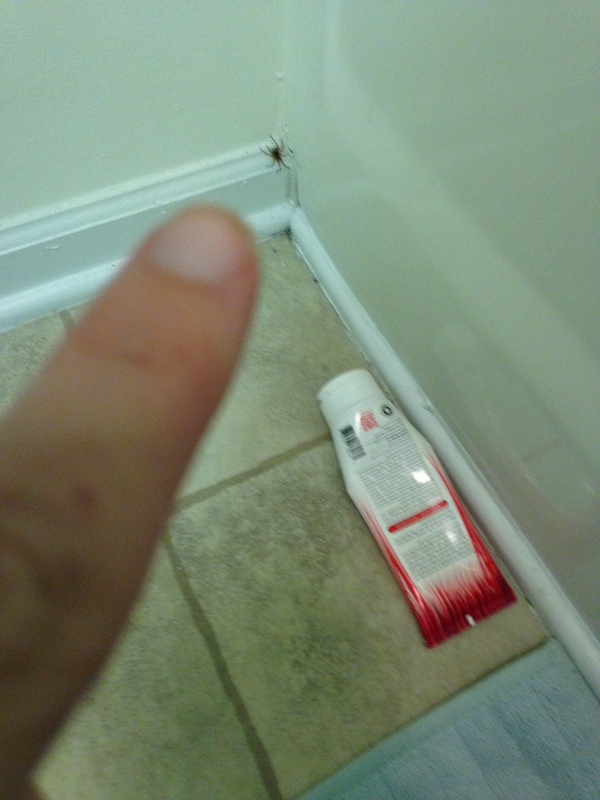 I had another bathroom spider experience where the spider was on the wall near the ceiling and I had to stand on the toilet and the side of the bathtub to kill it. Sometimes you just can’t reach spiders with your shoe, though, so it’s always good to have a plan B.